Ah! 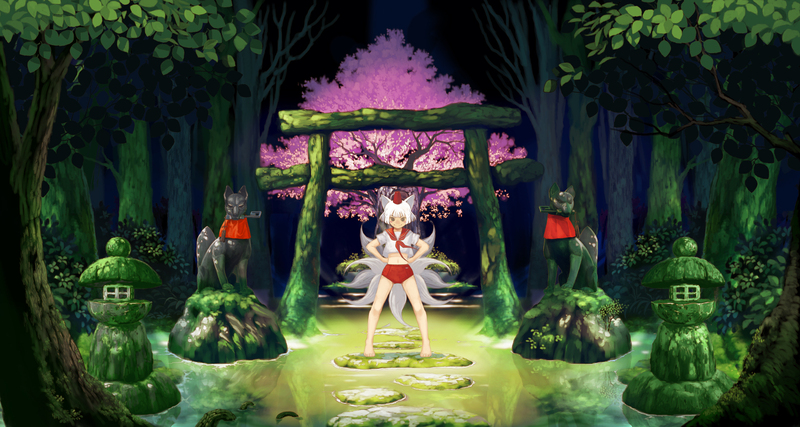 Welcome to another edition of Fox Spirit Wednesday, on ever last Wednesday of every month! Hello guys! Thought I’d borrow fellow blogger’s ideas and share my top five favorite Anime OP’s, YouTube willing. Hello! Today I shall be showing off Busou Shinki Archives book that arrived on Thursday, November 17th, 2011. Couldn’t review it on that day because of Naru2u. (Link – MySite) – Everything you need to know! Hello! And what’s this? Snow! 5-7 cm of it! Fell during the mid-hours of Kitsune Wednesday and waited long enough for me to snap images of it with Renge checking up on her various shrines. (Link – MySite) – Renge airplaning her way through a bike-made path. Hello Hello! Took another opportunity to go to a local Anime con within the nation’s capital – Ottawa’s Naru2u Anime con. This one went from November 18th to 20th. This was quite unexpected! Fate/Extra actually managed to reach North American shorelines for the PSP. However, there were problems with the shipping causing those interested to wait and wait. Patience! For those that know me shall know that I love Fate/Stay Night and the various other series and games, Fate/Extra obviously entering my collection twice. Time to pay my final respects for Shinki-net, Battle Rondo, and Diorama Studio with this final farewell. I do apologize if I may have pulled its parting a bit too much, I did try to keep the farewells to a respectful minimum without spamming. Managed to save up quite a bit of content that needs sharing for both remembrance and nostalgia’s sake! (Link – MySite) – Benio! Do wonder what you’re saying though, you caught me by surprise haha. Hello once again, and hope you had a joyously haunted Halloween! If not, I hope it was at least entertaining in some way, shape, or form! Might as well share the mood from a gaming sense from both the North American and Japanese servers! Too bad I can’t pose my Shinki’s within PS Home…. (Link – MySite) – Trick-Or-Treat!